MumStuff has been trading online since March 2005 and in that time we have helped thousands and thousands of women throughout their pregnancy, labour, birth and subsequent motherhood. I'm a working mum with two children, and run the site with the help of a small team of dedicated helpers (aka my hubby and friends!). Why not have a look at our Press Pages, to see what we have been up to over the past few years or read our Your Comments page to see what other customers have thought of our service! Providing the highest level of service is equally as important as the quality of our products, our ordering process is fast, simple and as safe as possible. Orders placed after 1pm will be dispatched the following day. We have a dedicated support team ready to help with any questions or concerns you may have, so please contact us and we will be more than happy to help. The safety and security of your details are extremely important to us, we take every step possible to ensure your information stays safe and private. Poor new dad - he often gets forgotten in the whirl of the new arrival. Our plea to you, is please don't leave him out! 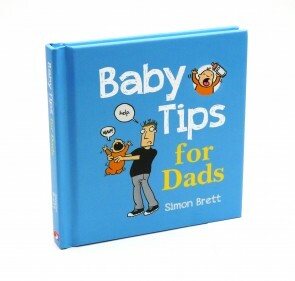 He needs congratulating too, so why not buy him one of our great new dad gifts below. Some are quite cheeky whilst others are bit more serious, but you're sure to find one that your dad with love and treasure! 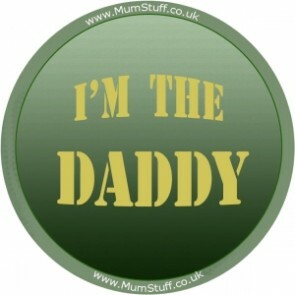 Not much to say about this one... Show dad you haven't forgotten him with this fun badge! What a great gift from a little one to their hero! 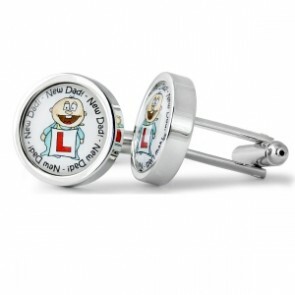 These fabulous personalised cufflinks are guaranteed to get them a great big cuddle from a delighted daddy! We do.... Well, we love these really cute personalised cufflinks! These make a perfect gift for a birthday, Christmas or to celebrate a new arrival (or two!). These new and exclusive cufflinks have been designed by Richard Cammish. Now everyone can share in the fun and fresh designs and high quality products synonymous with the personalised ranges from Richard. These cufflinks are a brilliant gift for new Dads everywhere and will really raise a smile! 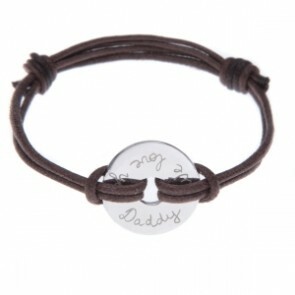 We adore this trendy Merci Maman personalised charm bracelet, a perfect special gift for a new daddy! 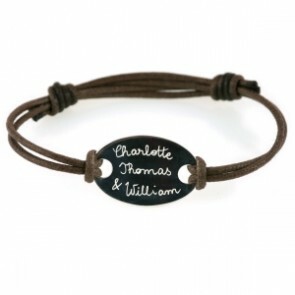 A beautiful personalised charm bracelet, perfect for a cool new dad to keep his loved ones close! We adore this beautiful, quality Merci Maman personalised charm bracelet, a perfect special gift for a new daddy!Hand engraved in the UK with names, dates or a personal message. We couldn't resist this, even though we don't have 'diapers' over here! 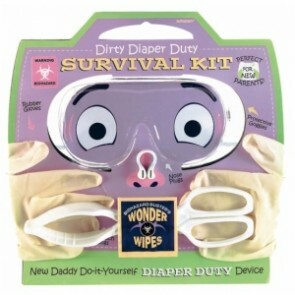 This is a fab humorous gift that can not fail to raise a smile for any 'struggling' (meant in the nicest possible way!!) new dad. Congratulations! The Nine-month wait is over, your son or daughter is in your arms... but what do you do now?! Hello and welcome from the MumStuff Team! We hope you enjoy our unique shopping experience dedicated exclusively to all things 'mum'. There's no baby stuff here - just everything for the perfect pregnancy and beyond! Whether you are pregnant yourself, or you are buying for your partner, wife or friend, you can be assured of a fabulous selection of thoughtful products to inspire, support and nurture..